Traveling to Japan for me on a regular basis has become habitual, driven by the People the food and a thirst for premium Sake. 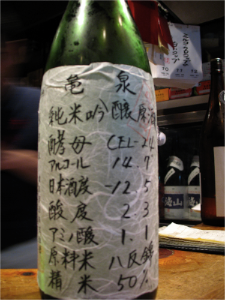 Here in the UK we feel a little left out good quality sake seems to bypass us going straight to the United States. 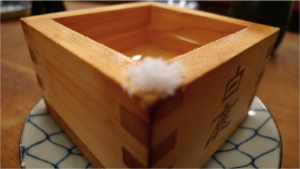 We seem to be left with little choice, and good sake seems to be kept in high-end restaurants. Where only a few can afford to visit. America has a burgeoning market for Nihonshu ,one of there own sons is the worlds English speaking leading authority on the Subject. John Gauntner who promotes the brew with great enthusiasm through his website, newsletter and speaking tours throughout the US. Lack of promotion of the brew in the UK comes as a surprise as Japanese food namely sushi is available everywhere and is a favorite with a lot of the population there are many themed Japanese restaurants like Wagamama known for soba who have the opportunity to sell premium sake but do not. More people are now traveling to Japan for holidays that should increase demand for sake and maybe it does, but still the resources are not fully in place as yet, slowly it is starting to happen but only in London this is relief and a pleasure. Shirley Booth a well respected journalist and expert on Japan has worked tirelessly to promote sake in the UK and recently formed the British Sake Society. This society was inaugurated at the second London sake fair in late September, the event was populated by 17 sake brewers from Japan bringing with them 170 types of sake for tasting some of them even hard to find in Japan itself. There was a guest speaker form the Japanese sake Brewers Association who thanked all participants and brought to light that sake and Japan had been represented at the International wine challenge in London the previous day, they had come away with eleven gold medals. This was followed by a brief speech by Phillip Harper The only English Toji in Japan. A man after my own heart taking his passion to the ultimate conclusion by brewing the drink he loves. 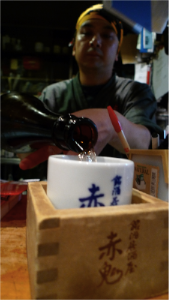 He kept his speech short and promoted the action of tasting rather than talking sake. All visitors acted on his words with some enthusiasm including myself. 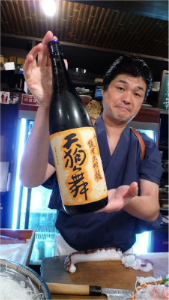 This is an axial time in sake brewing history where the sake is being enjoyed by the few rather than the many in Japan, and breweries are closing. An opportunity to sell to new appreciative markets could not come at a better time. With the sake brewers getting behind a push to export things here should start to change soon. The owner of the Japan centre in Piccadilly has taken on new premises, which will open soon as a dedicated sake shop carrying many variants and some from his own personal contacts in Japan. By the time you read this the British Sake Society should be in full swing and the sake shop of the Japan centre will be open, the sake will start flowing a new page in the history of the Japanese national liquid treasure will begin in a new country. Kampai.